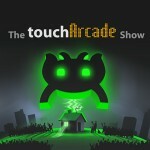 On this week’s episode of the TouchArcade Show, we actually manage to dive right in to iOS talk. Staring the show off with our tales of standing in line for the iPhone 5s, dealing with launch day coverage on zero sleep, and how much we’ve come around on touch ID. From there, we move on to the standard game chat before taking a break to come back to chat about adventures in house hunting, the three Steam announcements this week, and some crazy happenings in the iOS gaming world. As always, feel free to listen to the podcast via the embedded player below or by subscribing via whatever service you prefer. Oh, and leave us some reviews too, those always are appreciated.